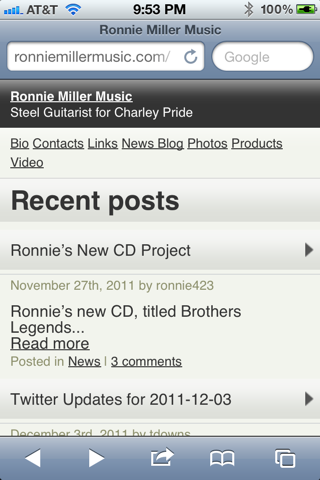 Subscribe to ronniemillermusic.com RSS feeds. Click on the subscribe bar on the right hand widget area. Lloyd Green has written the liner notes for this project, which is a significant endorsement for this fantastic steel guitar instrumental project. 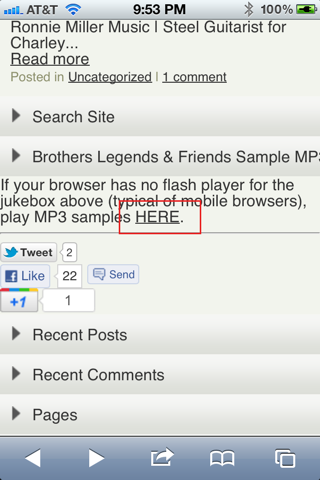 The iPhone (and other smart phones) do not support Flash Player, which is the the MP3 Jukebox for Ronnie’s sample music. 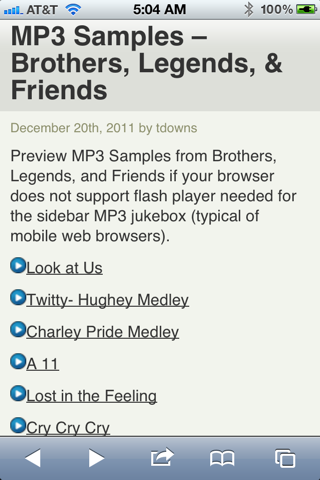 The website and mobile function now has an alternate page that has the MP3 samples linked for playing on your mobile device. Click the link highlighted in red. If for some reason you click on the “Switch to our desktop site” link (as shown in red below), your iPhone Safari browser with get stuck with the desktop site content. 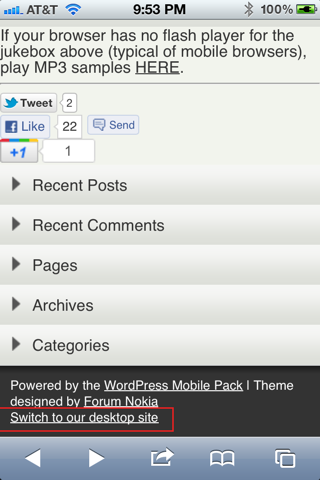 To revert to the mobile friendly content, go to your iPhone “Settings”, then “Safari”. Then click “Clear History” and click “Clear Cookies and Data”. Your next opening of http://ronniemillermusic.com should show the mobile friendly content.